Happy FRIDAY, friends! 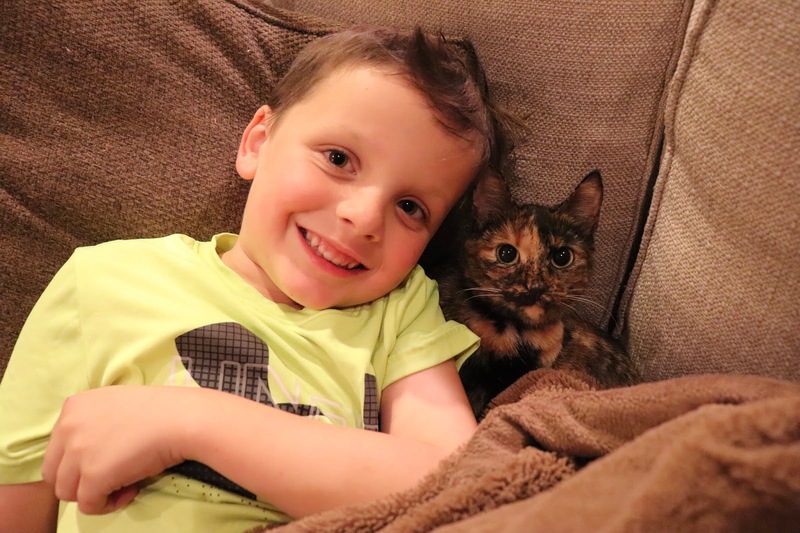 It's extra happy around here because after wrapping up some things at school today we're all off for a whole week!!! Well... the kids and I are... Dave is knee deep in crazy season but we're hoping to get some good family time in early next week. 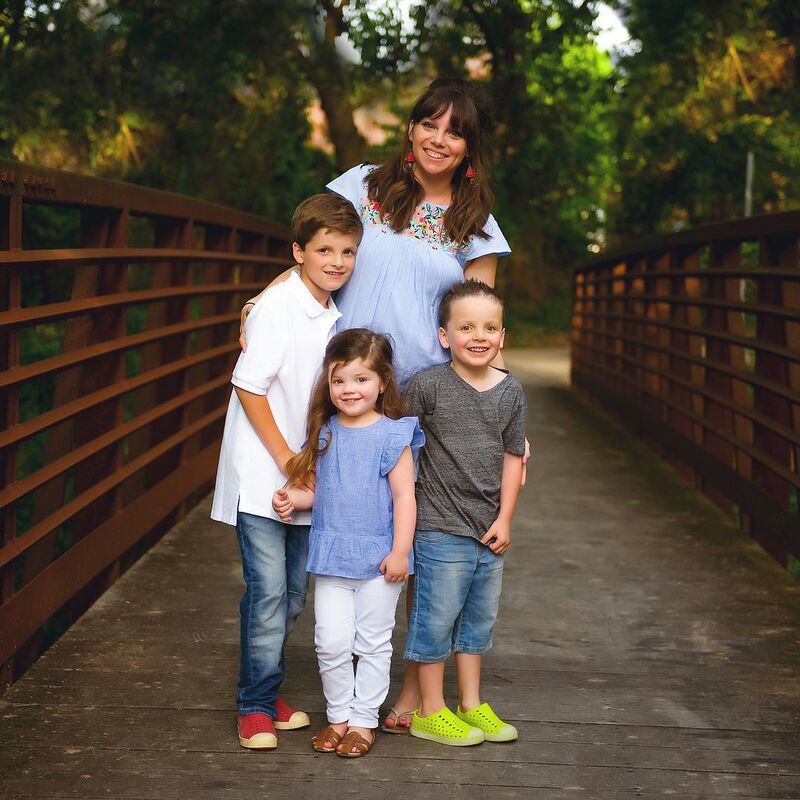 Erika, Narci and I are sharing our FAVORITES this week and we'd love it if you'd join in! 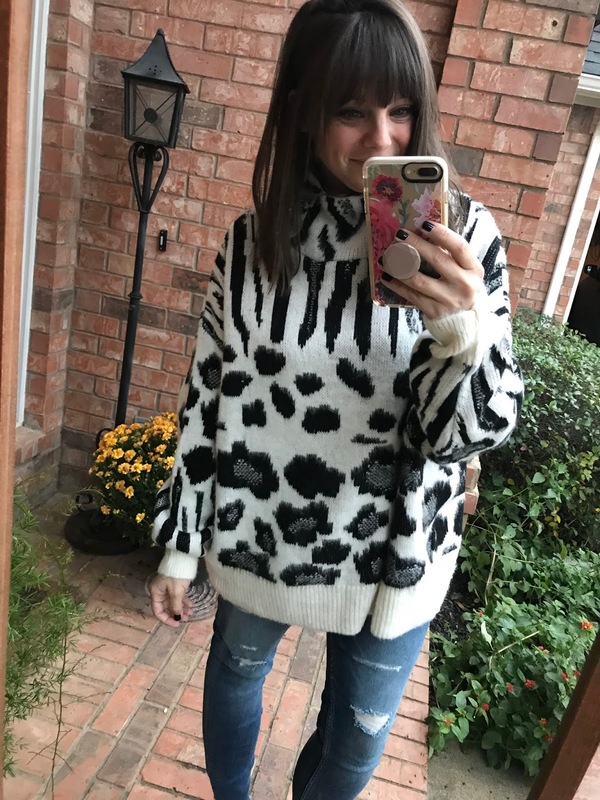 Today I'm talking about Topshop again and sharing some of my FAVORITE picks from their sweater selection. A great feature of the Topshop line is that there is SO MUCH variety. 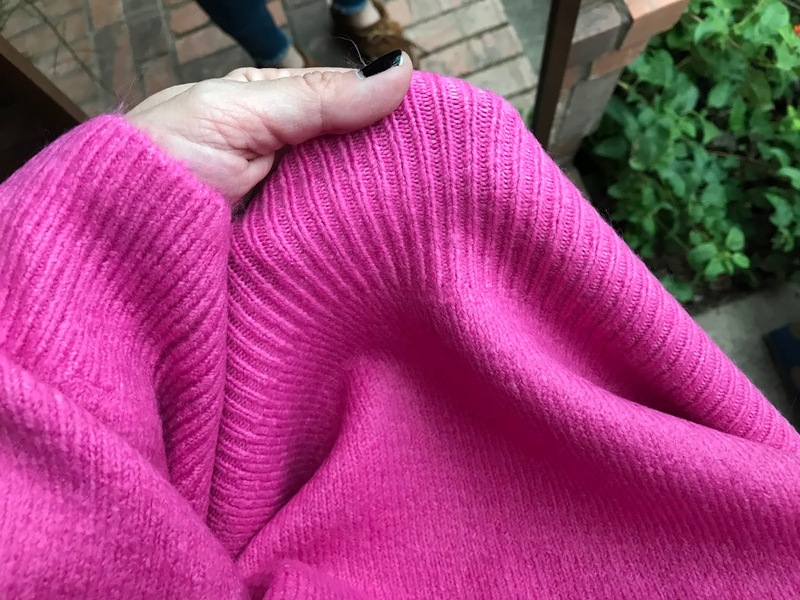 Their selection of sweaters is varied and has something for everyone and I was more than happy to try out a few. It was "itch-free" and I loved the big ol' turtleneck. I'm wearing the size 6 and found it to be oversized. 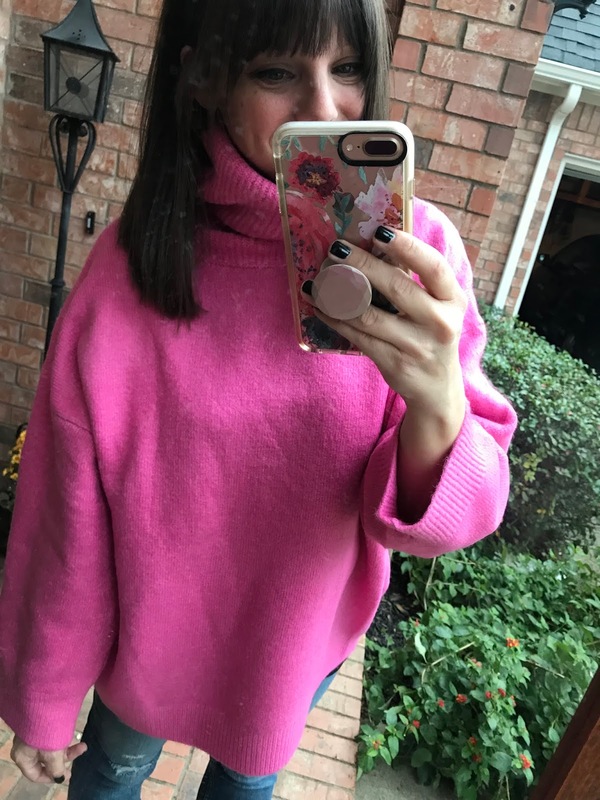 Next up is the "Barbie sweater". Griffin LOVED this one and while I adore the color I wasn't sure I adored it on me. It's vibrant and soft and not quite as heavy as the Thanksgiving sweater. This sweater also comes in a really pretty mustard color and again I'm wearing the size 6. Next is this navy ribbed sweater which I LOVED!!! The collar is great if you don't love a full turtleneck and the weight was heavy without being hot. It has a great little slit on the side and comes in cream and a gorgeous rust color as well. Yesterday was BUSY and I was fortunate that I got to stop by all three kids' Thanksgiving parties. First up was Griffin's Thanksgiving Feast. Next up was the 2nd Grade Pie Feast! They had all kinds of pies to sample and this boy was in HEAVEN! After the feast we headed back to their classrooms where they got to show off the Native American dioramas they worked on yesterday. 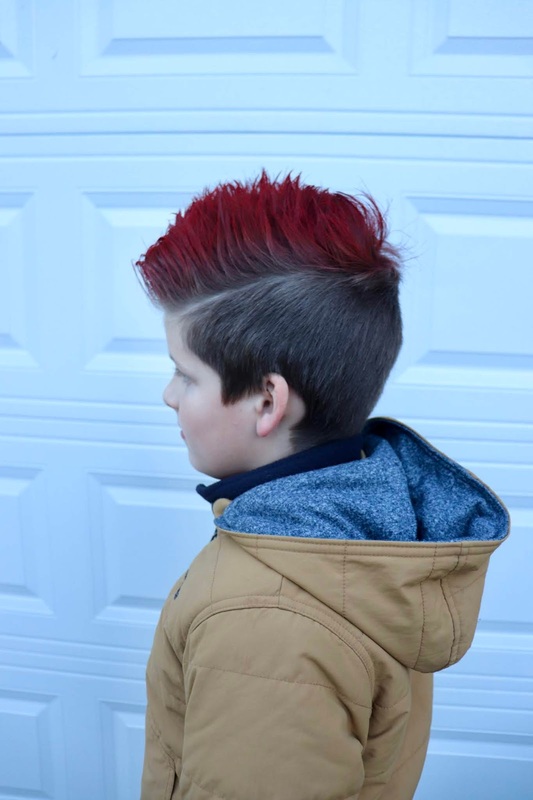 CUTEST mohawk I ever did see! I had lots of questions about these trees that were in my weekend post and they're from one of my FAVORITE places - Hobby Lobby! A few of them are HomeGoods finds from over the years, but the majority are recent from Hobby Lobby! I saw this meme this week and couldn't stop laughing! I don't know how I got on the list for these calls but I get probably 5 a week. SO ANNOYING! ... baby Griffin!!! And these boys are in COLLEGE now! Time is a thief, y'all! Today we're looking forward to watching the kids perform in the Grandparent's Day program at school and then we're going to pull out the Christmas boxes! WOO HOO!!! Sunday night I'm going to a wedding with my friends from work (YAY!) and we're off of school next week! It's going to be a GREAT day! I hope that y'all have a wonderful day and a fantastic weekend! HAPPY FRIDAY! PS - This post contained affiliate links... thank you so much for reading and supporting my blog. Also, thank you to Nordstrom for partnering with me on this post! That thanksgiving sweater is EVERYTHING!! 😍 Have a great weekend, girl! I like the first sweater best! Question...will you be doing gift guides for kids soon?! 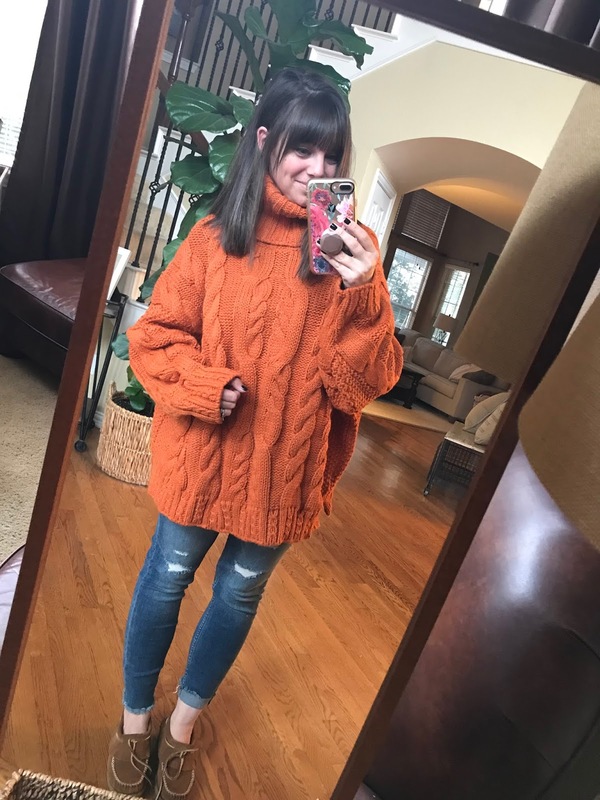 That orange sweater! 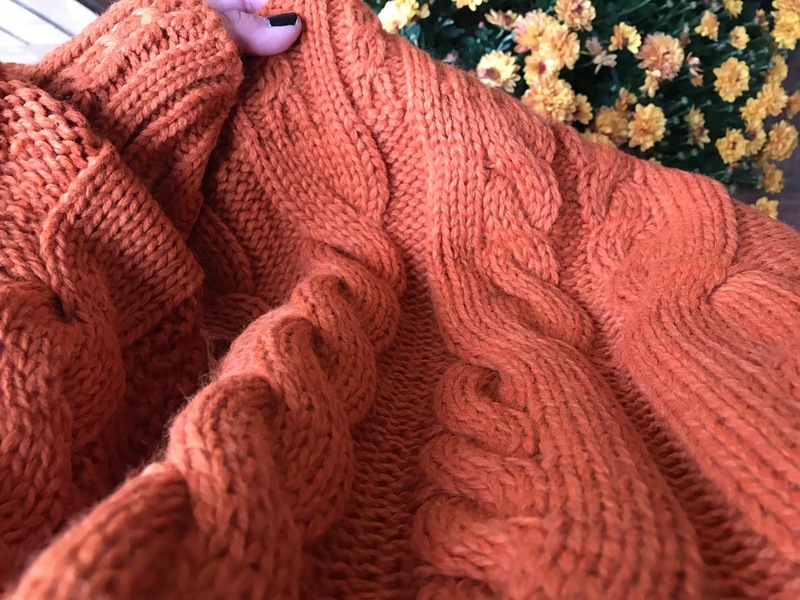 THAT ORANGE SWEATER! Gorgeous!!!!! Love the Thanksgiving sweater. It's a great color. I am loving all of your sweaters! So cozy. 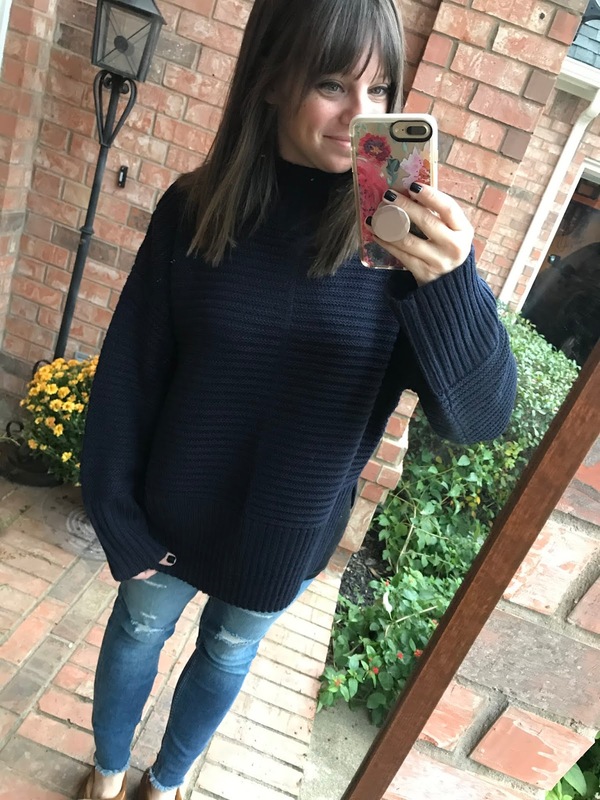 I love the "Barbie" sweater, but the Navy is my favorite on you! Enjoy your family time and Thanksgiving break! Is there a link for your jeans? They are super cute. I like the orange and navy sweaters!! 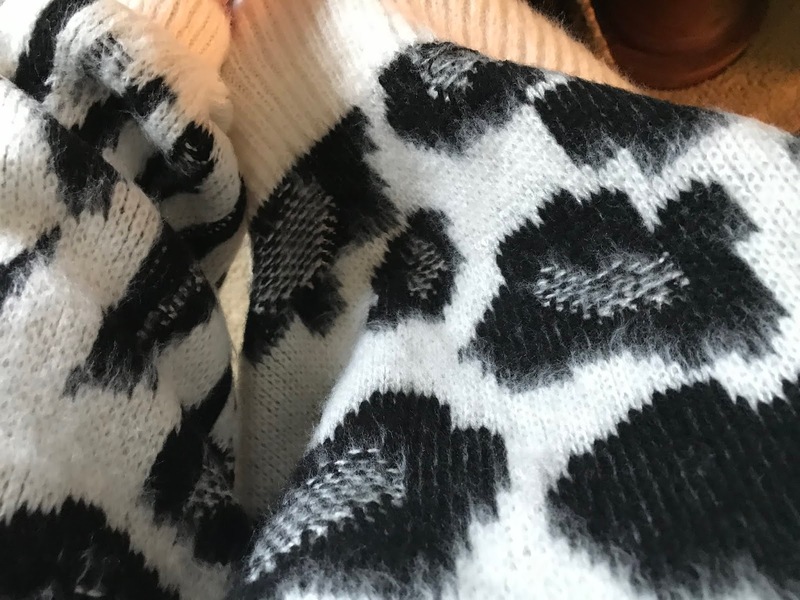 I think the animal print one is the most fun and different from other things you have shown on the blog. Cute for longing and great with tall black boots for a evening out with the ladies! We are decorating for Christmas tonight too, the kids are so excited :) . Of course I love the navy sweater ;) and have so much fun on Thanksgiving break! Our kids don't do anything for Thanksgiving and it makes me sad! I really love the navy! The animal print is awesome too. Love that first sweater on you!!!! Looks veryyyyy thanksgiving! :) Happy Friday! The Navy sweater looked the best on you - very flattering! But I did love the color of the Thanksgiving sweater! I love the orange or navy sweater the best. I love Thanksgiving feasts in school. I hope you have a great Thanksgiving break. Happy Friday! Definitely the navy sweater. It looks really nice on you! You look darling in all of them but the orange Thanksgiving sweater is my favorite. Topshop is such a fun brand! They're originally from the UK and I discovered it over there before I found it at Nordstrom. They also used to do maternity clothes that were amazingly cute and affordable, but I haven't seen their maternity line in the US lately. It's still available in the UK. I think you should choose between the two you love! 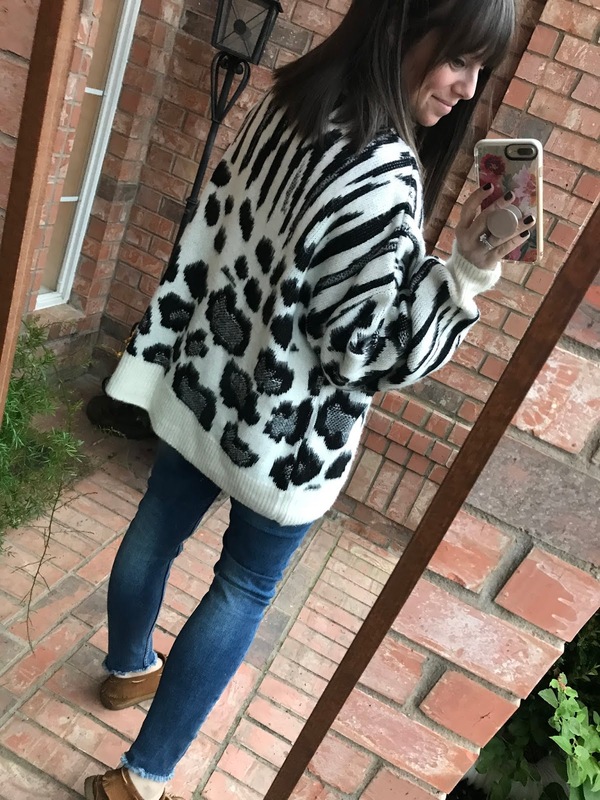 I thought the animal print was fun and could be more versatile. The navy is gorgeous on you!! I think the orange "Thanksgiving" sweater looks great on you! My favorite is the first rust colored one - SO cute on you! ORANGE!! It looks so great on you. Very few people look good in orange. You are one of the lucky few. The sweater is also a gorgeous sweater and it looks so comfy and cozy, which is a must. Love them all! 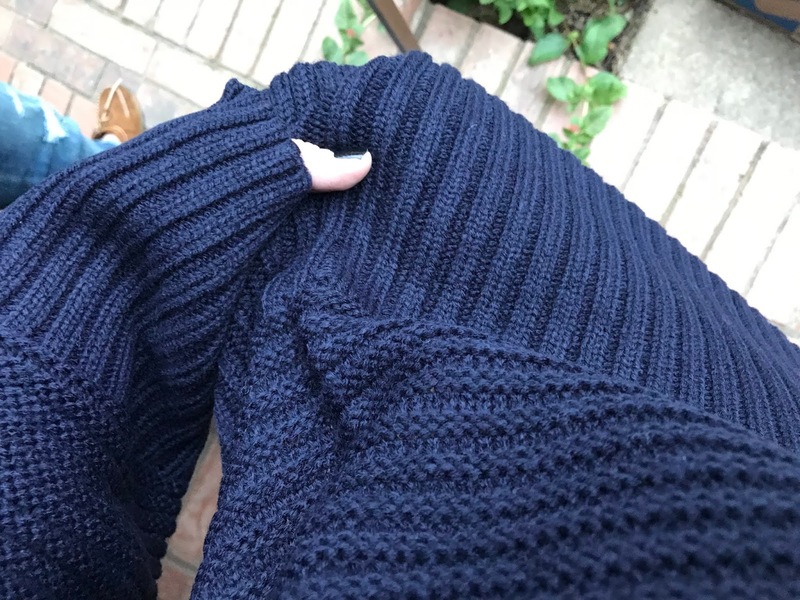 What size are you wearing in the navy ribbed sweater? I love that the neck isn't bulky, but wondering about fit! 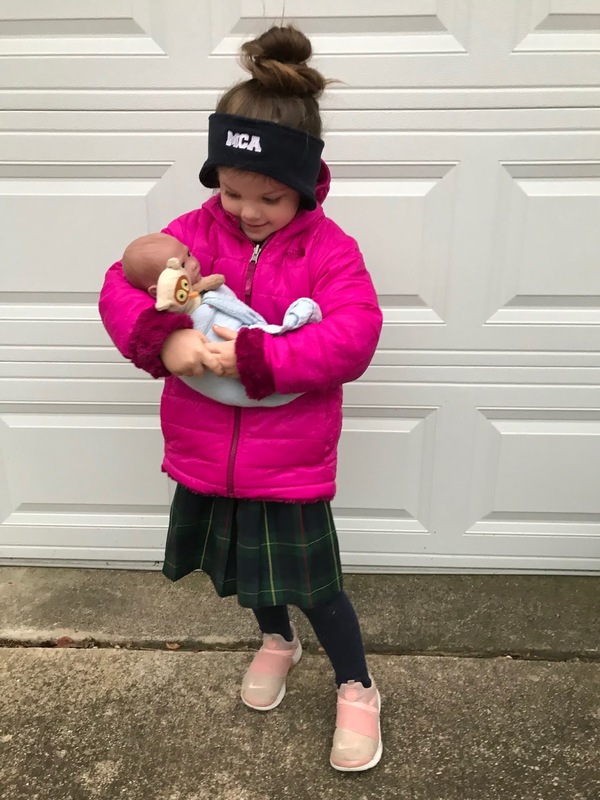 Choose the navy if you want a new basic and the Thanksgiving sweater if you want something fun! I miss the elementary school holiday feasts! Love GG's apple turkey;).